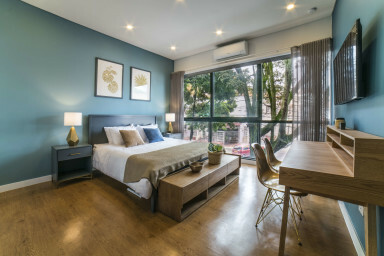 This cute studio is the perfect match for couples, executives, solo travelers and digital nomads. It has hot water in all faucets, A/C, a smart TV, and a high-quality queen bed. The kitchen is fully stocked with everything you need to cook a meal or if inviting a friend over for a drink.